Note: This article was featured on the Buildium Blog in November 2018. I’ve owned Hill Country Homeowners Association for 10 years this month. Wow. It feels surreal to actually write these words. This crazy journey is difficult to put down in words. These 10 years have been a roller coaster of exhilarating highs and excruciating lows. Now that I sit down to put it all in writing, I realize I wouldn’t have had it any other way. When anyone asks me how I came to start Hill Country I always joke that I fell into it—literally. Due to a freak accident involving river rocks and a pitch black restaurant parking lot, I broke both of my ankles! It took six very long months of bed rest to recover and through an equal mix of boredom and growing dislike of my current job, Hill Country Homeowners was born. 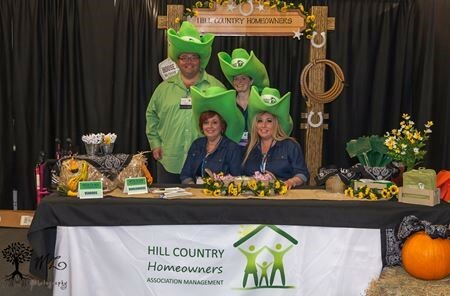 First and foremost, we are a local, family-owned business that specializes in personalized financial, administrative and property management for homeowners associations in San Antonio and the surrounding areas. As a business owner, I take pride in my successes and thrive on building direct relationships with my board members. I enjoy working within the small business, family-owned environment I’ve created. It gives me freedom to focus on balancing work and family, while allowing our team to share in our successes and lean on each other when the road gets rough. 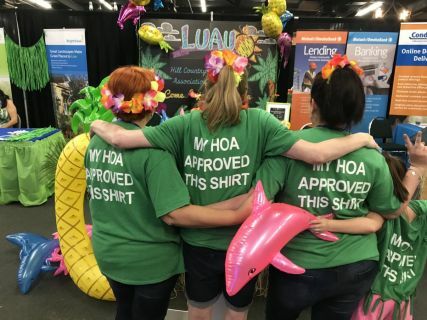 No little girl or boy dreams of managing HOA’s while growing up. My business was born from a mix of an unexpected life experience and opportunity, as I mentioned. I bought my first condo at age 19 in Tampa, Florida and became the president of my condo board. From there I worked in association management while I earned both of my business degrees. Freshly out of school with my shiny MBA, I decided I wanted a new career path and found myself in management for a financial services company in San Antonio. I bought a house and, of course, I became the president of the HOA. I quickly fired the management company and began to look for a new one. I discovered that unlike Florida, San Antonio did not have a large competitive market for association management. I made a mental note of that potential business opportunity and put it on a shelf. With very little convincing to my fellow board members, I began self-managing the HOA and started my very first association with Buildium. So back to that fall. Fast forward 4 years and due to that unusual accident, I pulled that dusty idea off the mental shelf and hung out my virtual open for business sign. Within 4 months I had replaced my salary and I was officially self employed! From the day I signed my first contract, I began my partnership with Buildium. I’ve grown as they have grown and 10 years later, Buildium is still the best financial inclusive management software out there. This journey has not been without heartache and difficult lessons learned. Through the years I have lost a best friend and partner through theft, buried a husband, suffered the betrayal of having trusted employees attempt to steal my business out from under me—and most recently I am still learning how to navigate life with a chronic debilitating disease. From these challenges I have grown as a person, married my best friend, and expanded my business with trust and faith in my team. I still manage the first property that I signed when I hung that sign up and count their president as a dear friend. These are accomplishments that at some points felt impossible, but with determination, hard work, and an open heart I am proud to say that now Hill Country Homeowners is stronger than ever, growing organically year after year, and standing tall upon a foundation of love and family.